PDR Marine Fabrication custom designs and fabricates every bracket, railing, arch and tower we sell using marine grade stainless steel and aluminum. We use the lines and measurements of your boat to enhance its appearance while keeping in mind how the boat is used and how our products can help your boat perform better. PDR Marine Fabrication is committed to providing our customers with the best accessories to maximize the usefulness and pleasure of their boats. We have been building custom Stainless Steel and Aluminum accessories for boats under our previous business name Pooderbuilt Co. since 2000. PDR Marine Fabrication has been building accessories for some of the Northwest’s premier boat builders such as SeaSport Boats, Osprey, Skagit Orca and C-Dory boats and we continue to build railings, arches and brackets for the Northwest boater and across the United States. 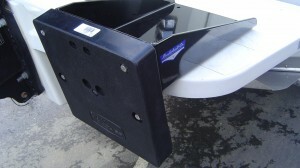 PDR Marine Fabrication can build a bracket for any purpose for your boat. 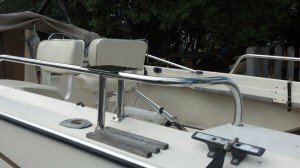 We build each set of railings specifically for your boat making sure we follow the lines and angles of the boat. 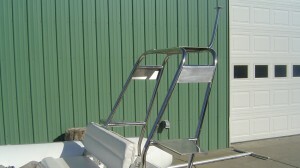 We custom build Arches & Towers from polished stainless steel or aluminum tubing, depending on the look you want for your boat. © 2016 PDR Marine All Rights Reserved.